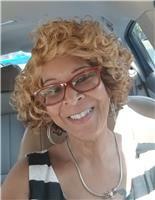 Gayle Hardy-Rodgers entered in to eternal rest on Friday, November 9, 2018. Family and friends will unite on Friday, November 9, 2018 from 10:00 am until time of service 11:00 am at Briscoe-Tonic Funeral Home, 2294 Old Washington Rd., Waldorf, MD. Interment immediately following at Heritage Cemetery, Waldorf, MD. This entry was posted on November 8, 2018 at 3:07 am and is filed under All News, Obituaries, z Obituary Ad Top. You can follow any responses to this entry through the RSS 2.0 feed.